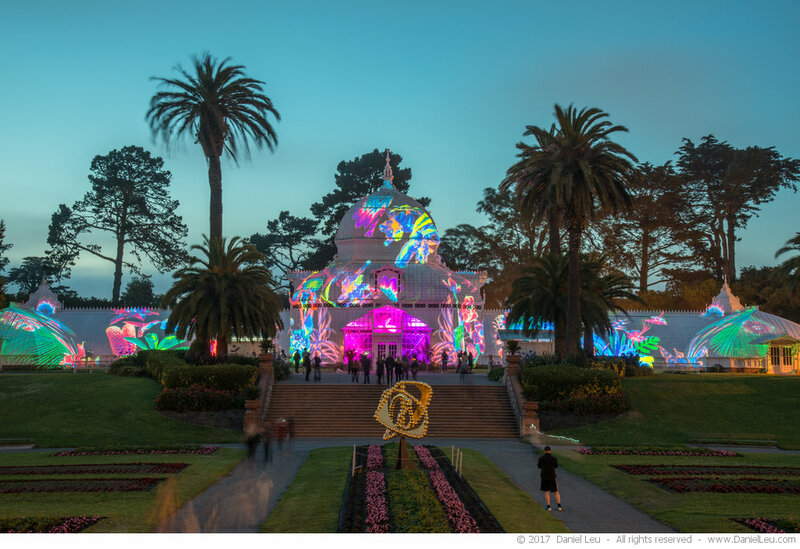 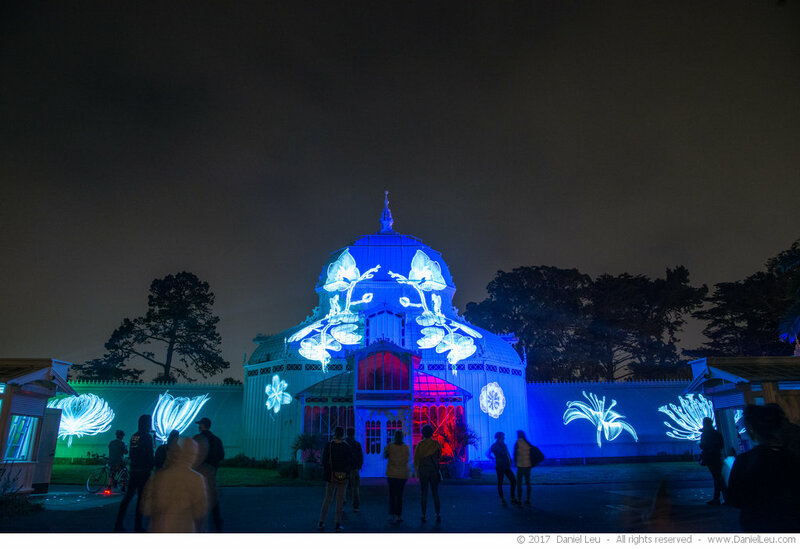 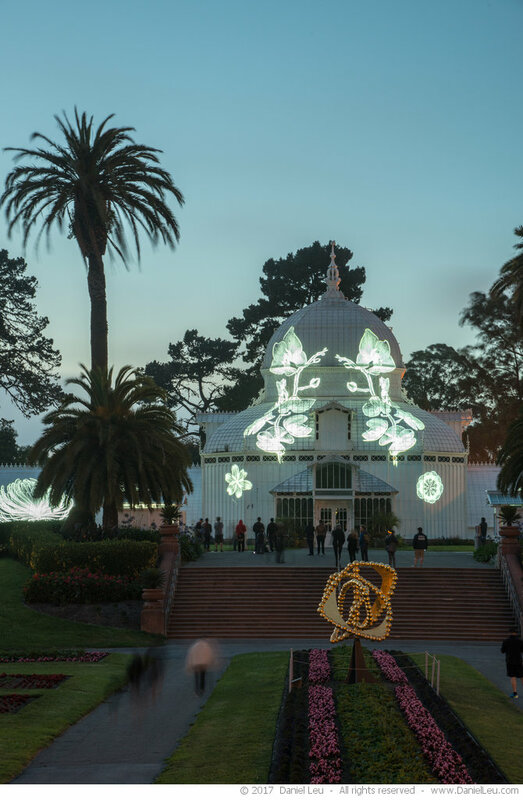 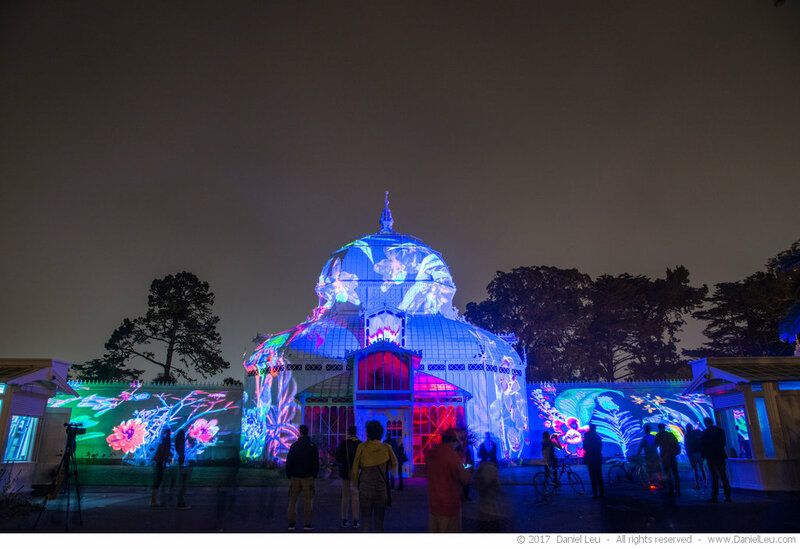 Tonight I got a chance to see the rehearsal of the upcoming Illuminate and Obscura Digital light show on the Conservatory of Flowers. 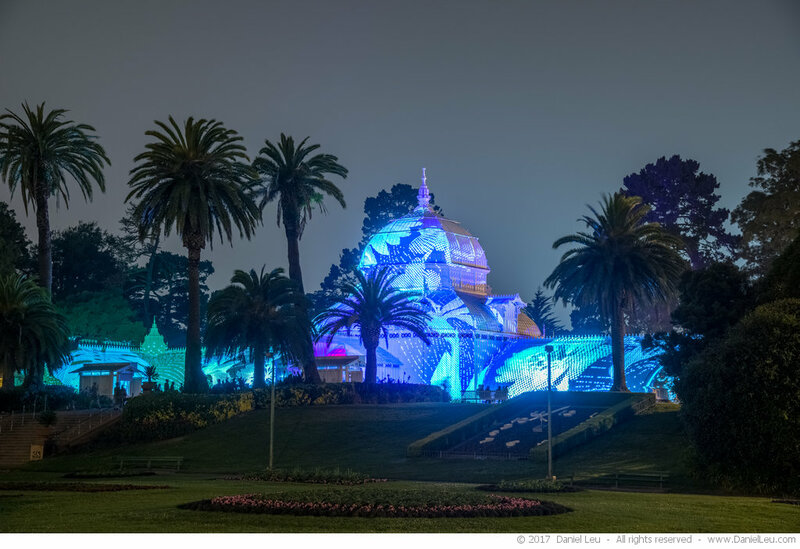 This is another project started by Ben Davis, the man behind The Bay Lights. 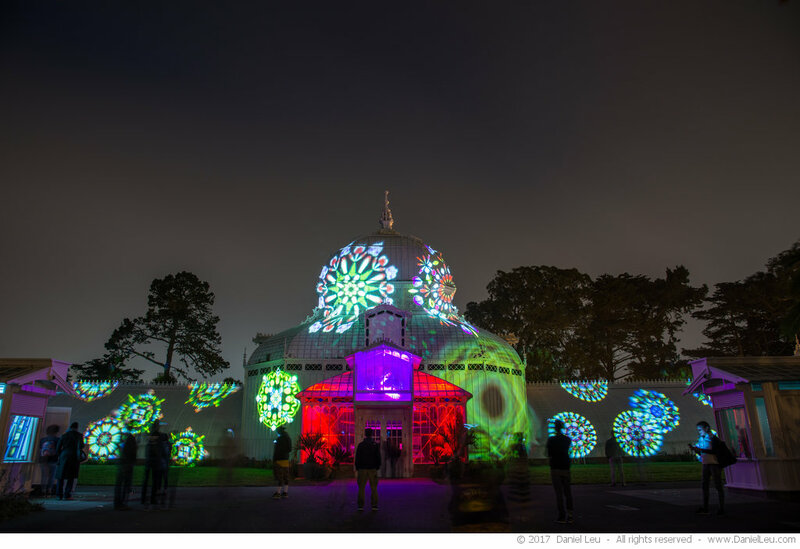 While I was there, technician fine-tuned the lights, colors and patterns. 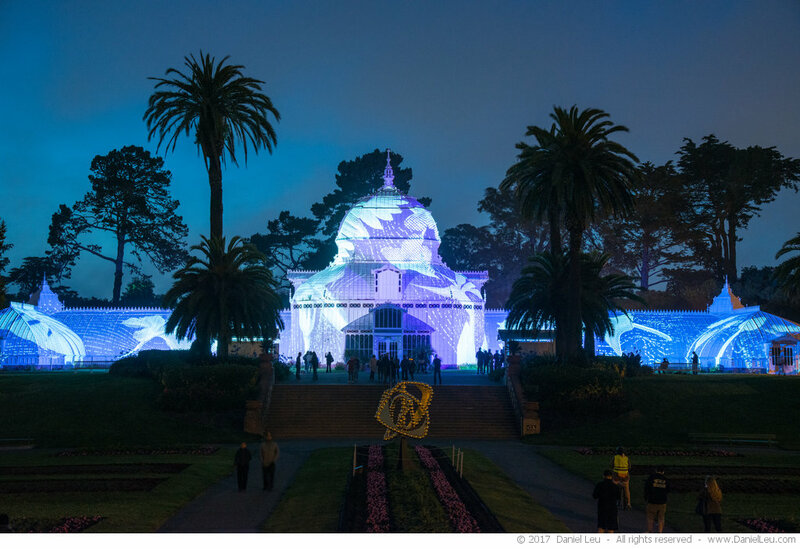 This will be a cool show and I am looking forward to the official start this Wednesday.